On the four-hour chart Tenkan-sen line is above Kijun-sen, both lines are horizontal. Chinkou Span line is above the price chart, current cloud is ascending. 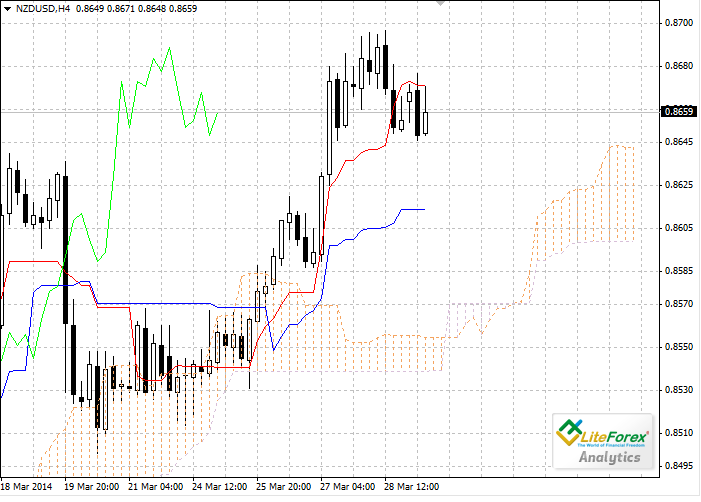 After strong rise the pair has been corrected under Tenkan-sen line, which is now a resistance level (0.8672). The closest support level is Kijun-sen line (0.8614). The Forex market without question is truly a global market. The Interbank trading sessions start in Tokyo continue on to London and end up in New York. These trading sessions span over many countries and many time zones. Euro continues to fall in price. On Thursday pressure on the pair was caused by US statistics. It became known that number of initial claims for unemployment benefits fell to 311 thousand, which is above the forecast. Growth of US GDP in Q4 amounted to 2.6%. This index was by 0.1% lower than expected; however, it does not decrease interest of market participants to the USD. Crude oil Brent has exceeded the upper limit of the trading channel on H4 chart. The rise in the instrument can continue but situation in the oil market will depend on geopolitical situation. On the one hand oil is supported by situation in Libya, where oil production in one of the largest deposits has been suspended, which can reduce daily oil production to 0.15 million barrels. There are so many choices out there when it comes to the different types of Forex accounts. Most are quite familiar with the Forex demo account. Hey Forex demo account is where you get to test drive the Forex trading software. On the four-hour chart Tenkan-sen line is below Kijun-sen, both lines are horizontal. Chinkou Span line is approaching the price chart from above; current cloud is ascending. After strong rise the pair has been corrected under Tenkan-sen line, which becomes a resistance level at 1.1215. 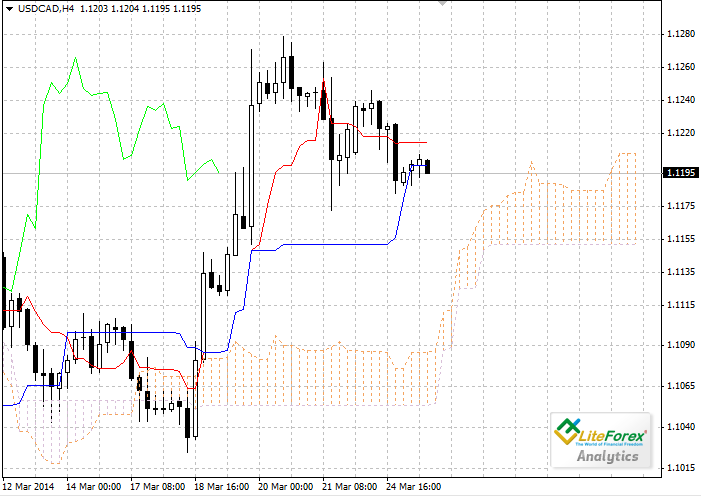 Support level is the upper border of the cloud at 1.1086. GBP/USD: will the pair be able to break out psychologically important level?